Our 8th graders had an amazing field lesson at the Exploratorium. Students were engaged in hands-on science activities where their classroom learning came to life! Congratulations to 3rd Grade Explorer Teacher, Michelle Ho, for being recognized amongst the 12 counties served by CapCUE, as their 2019 Emerging Teacher of the Year! This regional award is to honor Miss Ho’s work as an innovator in student-centered classroom practices! Our 5th graders participated in 6th grade shadow days this week. They had the opportunity to see first-hand what our incredible middle school program has to offer. Ready Set Play: Our K-8 grade Explorers have spent the past week exploring Ready, Set, Play during recess. Ready, Set, Play is a campaign to help make our blacktop safe and fun for all Explorers. The details for the campaign are presented below. Why Ready, Set, Play? Over half of behavior referrals to the office are generated from unsafe play during recess. Ready, Set, Play was developed to give all Explorers an agreed upon set of rules for the games they play during recess to make recess safer and easier to access for all students. What is Ready, Set, Play? 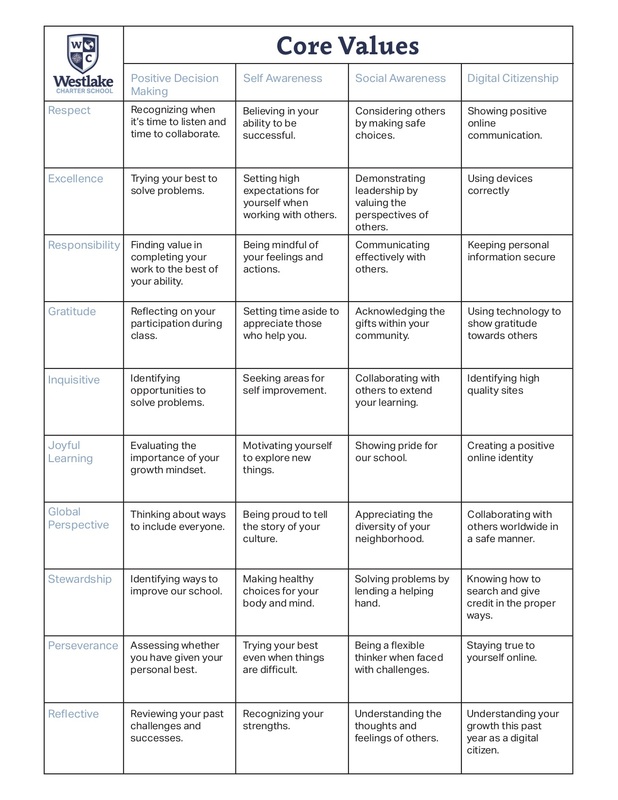 Our Compass Crew, a team of teachers, staff, and administrators partnered with Playworks, a recess consulting firm, to create school rules for the games that are played by our Explorers at recess. The creation of these rules involved taking into consideration different ability levels and areas where games could be safely played. The team also included zones for Free Play and brought a couple of new games to recess, like Infinity Tag, and Wolves and Bunnies. Ready, Set, Play also involved training our staff on the rules of these games so that they are able to help guide Explorers in safe play! What is next for Ready, Set, Play? This week, 3-8th grade students will be invited to sign up if they are interested in attending the next Compass Crew Meeting. We will select 2-3 representatives from each grade level to join the team at the Compass Crew Meeting on April 2nd. These Explorers will be asked to provide feedback for Ready Set, Play which will help guide any adjustments the Compass Crew makes to the campaign. Students will continue to earn blue dots for safe play during recess and these blue dots will give their class the chance to win prizes like extra recess, fruit infused water in their classroom, and many others. In April consultants from Playworks will come and provide feedback to the Compass Crew Team and the team will communicate to students, staff, and families any adjustments that will be made to the campaign. 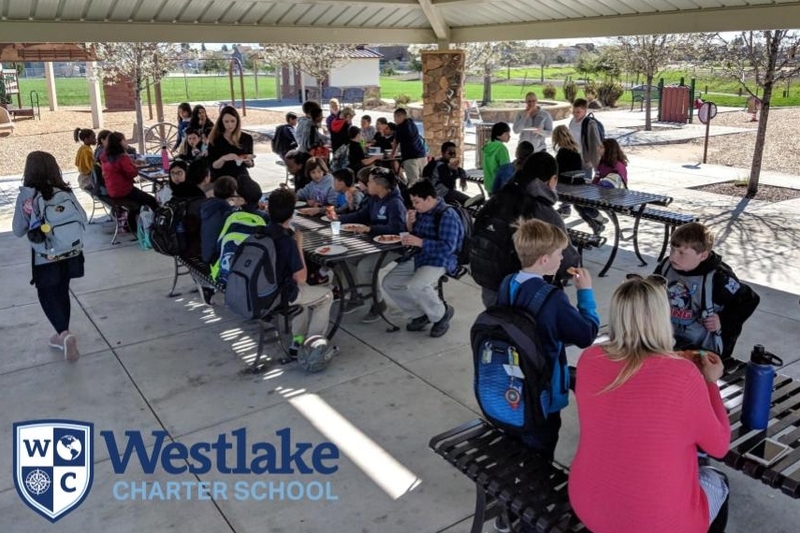 March into Spring: Westlake Charter School is working towards 1,000 trips on the Walking School bus in the month of March! We are currently at 606 trips! Please review the Pedestrian Safety Pledge with your students. 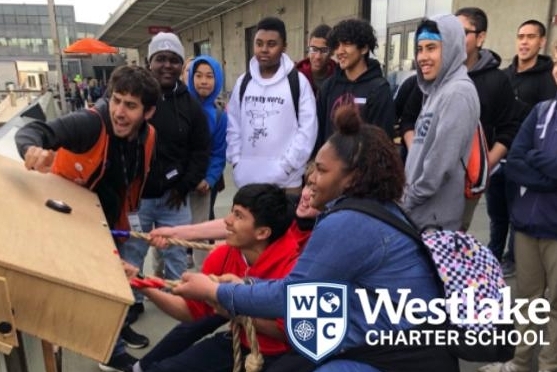 International Festival: Westlake Charter School’s 14th Annual International Festival! Mark your calendars for Saturday, April 6th, from 3 – 7 PM. You won’t want to miss all that we have in store for you! Click HERE for details including ways to volunteer. Recess Equipment: All recess equipment is provided for students during recess. In order to keep items from being lost or stolen, please keep all balls and equipment home. FREE Natomas 5K: Mark your calendar, April 27, 2019 for the Natomas 5K “Run for Their Future,”. All Westlake students AND staff will be sponsored by the The Inderkum family! This fun-for-all ages event will include vendors, entertainment, raffles, food, and so much more! Proceeds will be used by the Natomas Schools Foundation for college scholarships or computer grants to help students within Natomas Unified School District boundaries. 2019 International Festival: The International Festival is one of the most anticipated events of the year and it is quickly approaching on April 6th from 3-7pm. We desperately need additional cultural booth hosts! This is the highlight of our annual International Festival and it will not be the same without a large variety of cultures represented. Cultural booth hosts may provide a small sampling of native cuisine, cultural artifacts, a children’s activity/game and/or anything else you would like to demonstrate or display. The booth can be as simple or complex as you would like. Please contact wcs.ifc.culturalbooths@gmail.com for more information or sign up to host a booth HERE. We are hoping to break the record number of booths this year! The success of this event greatly depends on the support of our volunteers. Help is needed before, during and after the Festival as well as donating items. Volunteering at the International Festival is also a chance to complete the volunteer hour commitment during the last trimester! Please click HERE to see what is needed and sign-up to help. The Dessert Walk is a favorite with the kiddos and we need your help with dessert donations. Do you like to bake? Or maybe you just like to purchase baked goods? Either way, please Click HERE to fill out the form to donate those delicious desserts. Healthy Living Night-New Date: Our Healthy Living Night has been rescheduled for Friday, April 26th at 6pm. This is going to be a fun and interactive night full of food, fitness and fun! If you or someone you know is interested in getting involved in the festival, please email Amber Hustead (amberhustead@gmail.com). Don’t forget to save the date for this fun evening for the entire family! WAVE Board Elections: Are you interested in being part of the WAVE board? Joining the board is a great way to help plan the next year’s activities, continue building and strengthening our WCS community, lead fundraising and work with administration to support the school’s mission. All board positions for President, VP of Business Affairs, VP of Parent Participation, Treasurer and Secretary are coming up for elections in April. If you’re interested in getting more involved with WAVE, please contact Amber Hustead, WAVE President, at amberhustead@gmail.com. Kudos: Thank you to the volunteers working in the classrooms. 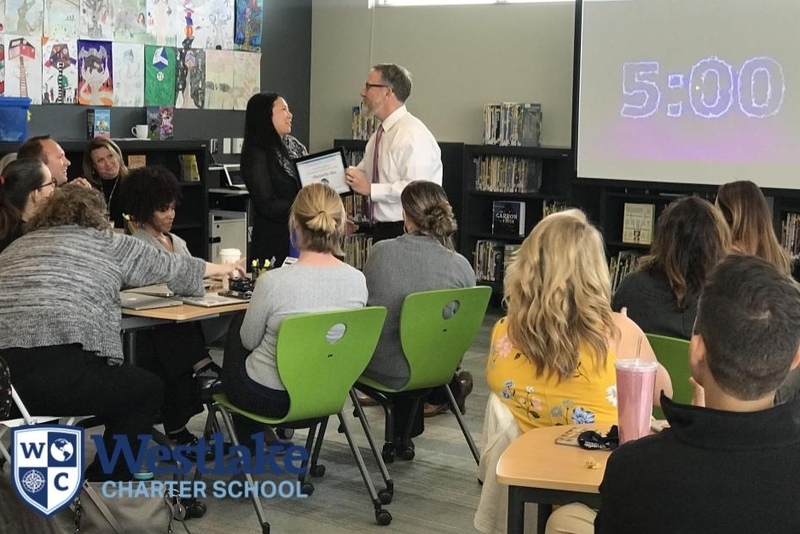 Whether you come every day, once a month or once a year, you are appreciated and this school is better due to your continued partnership with our Westlake staff.